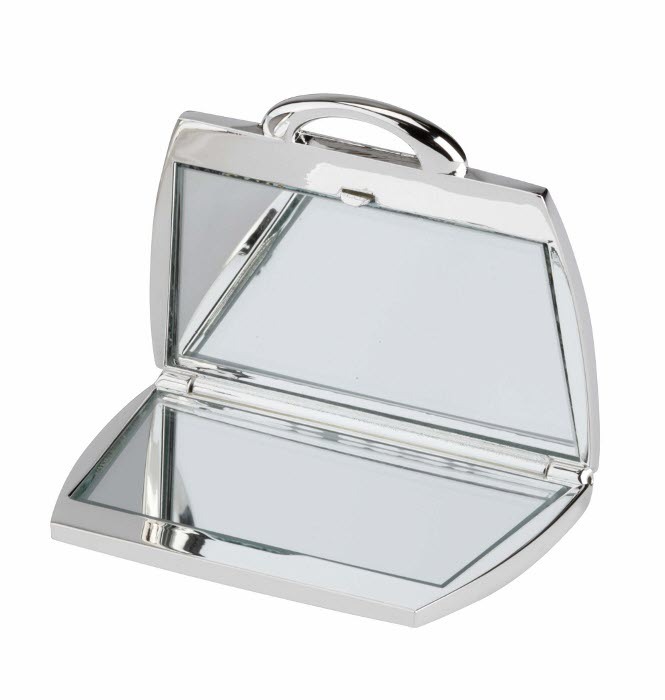 An amazing silver plated handbag shaped hand mirror.Personalised and engraved to your requirements. The handbag mirror measures 43 x 58 x 9mm. Comes in a black gift pouch.